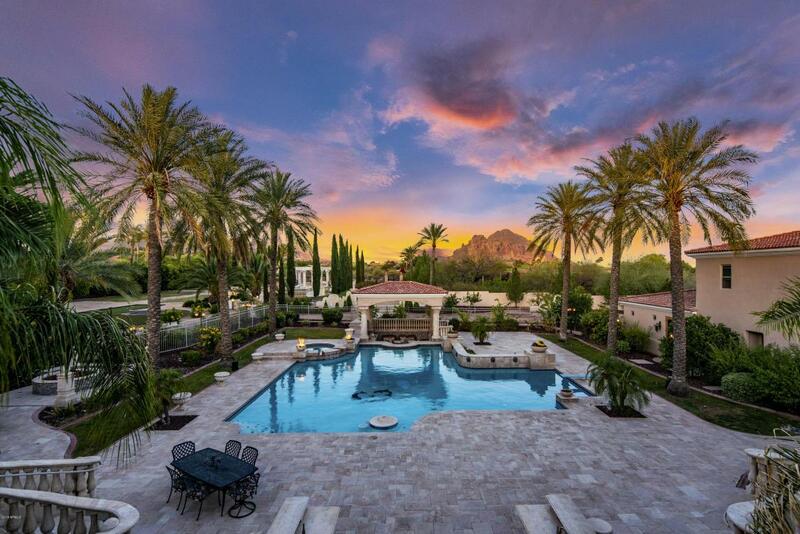 This masterfully designed and privately gated palatial estate is situated on roughly 5 acres of manicured grounds in PV and offers breathtaking views of the world famous Camelback Mountain's Praying Monk and Piestewa Peak. 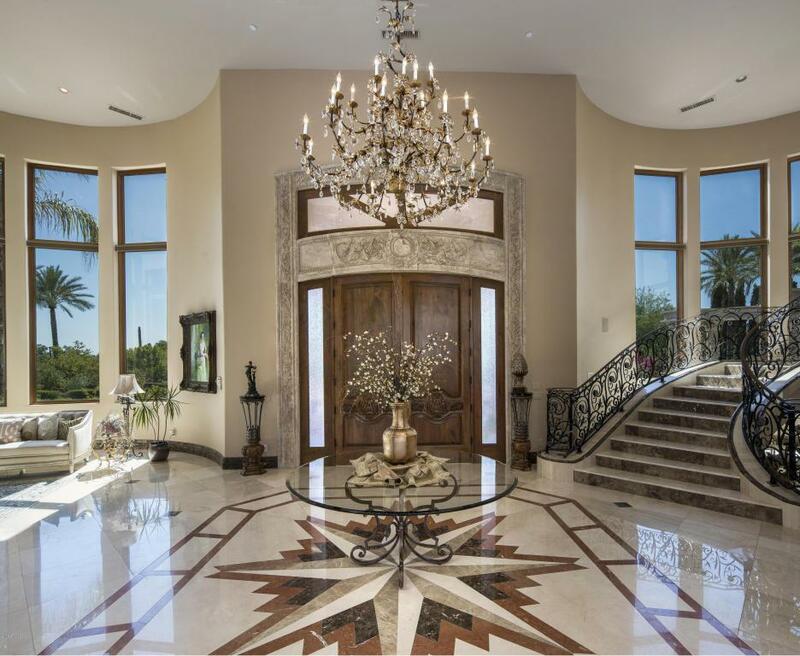 This majestic one-owner estate underwent a multiple year construction process because of its unrivaled attention to architectural details and handpicked finishes that were inspired from the Versailles in France. 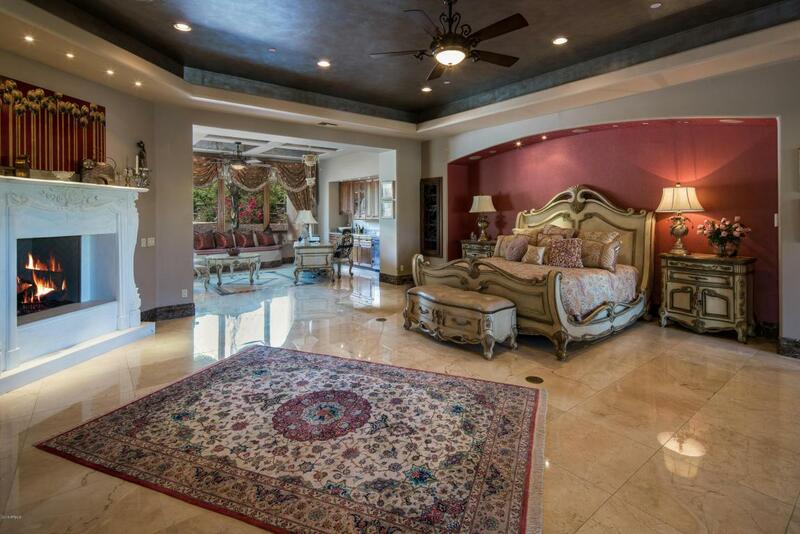 From its romanesque water fountains, imported grand staircase, marble fireplace surrounds, polished marble floors, hand carved limestone columns, hand-woven silk wallpapers, coffered ceiling, to gold fixtures and custom cabinetry throughout. click for more supplemental info.Some notable features of the house include Spacious Exercise Room and Sauna in the master suite, Executive Office, Wine Cellar, Theater Room, Butler's Pantry, Caterers Kitchen, Wet Bar w/Ice Maker, Tennis Court, Bocce Ball Court, In-ground Trampoline, Covered Outdoor Dining Area with its own fireplace & outdoor kitchen, Multiple Grandoise Limestone Water Fountains, 10 car garage, a separate 2197 sqft staff house on adjacent 50,548 SF parcel. 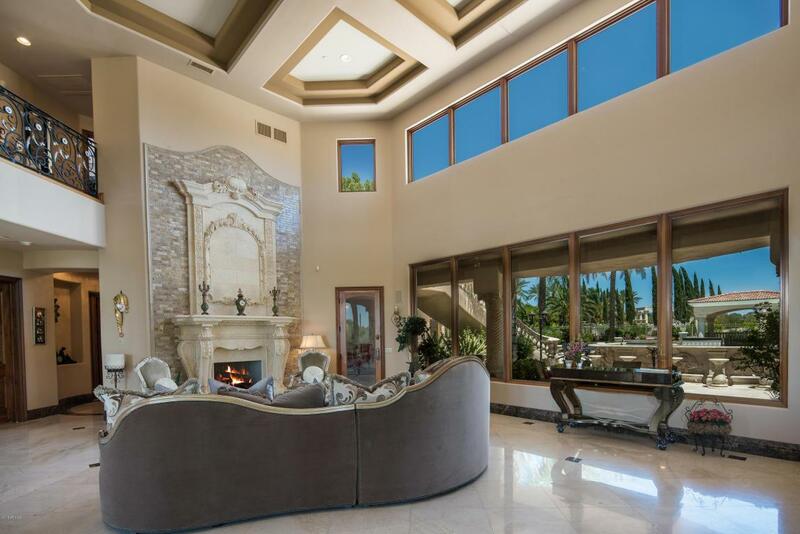 The home continues to dazzle with all of its outdoor living spaces, wrapped around covered patios, grandeur feel with travertine staircases, oversized sparking pool, spa, lush landscaping, all designed to set the mood for an exceptional outdoor setting unsurpassed.